Give a fun spin to your ethnic looks with this chic printed kurta from Biba. It features a high and low cut in blue and red hues and comes with pretty floral printed patterns. Pretty prints always work to add an extra edge to one's look. A perfect example is this stylish kurta from Nayo that features black and red quirky prints. 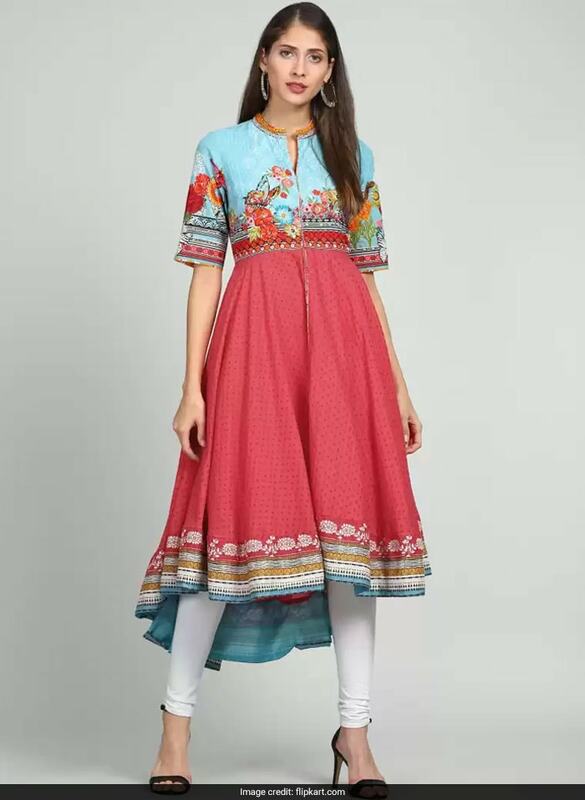 Make a chic style statement in this standout printed kurta from W. With intricate printed patterns in multiple hues, it will work instantly to notch up your looks. Looking for ways to spark up your casual looks? This pretty blue kurta from Anmi is sure to become your favourite. It features parachute-shaped printed patterns. 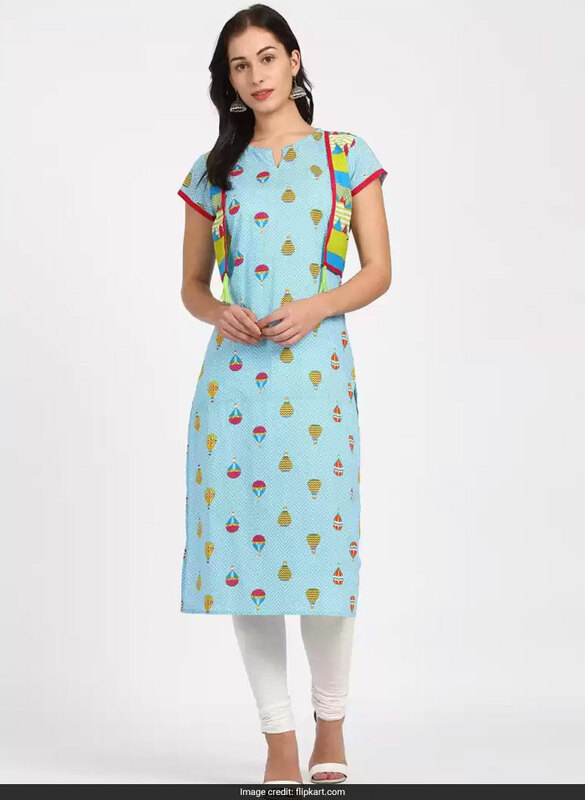 Look pretty in pink in this trendy printed kurta. 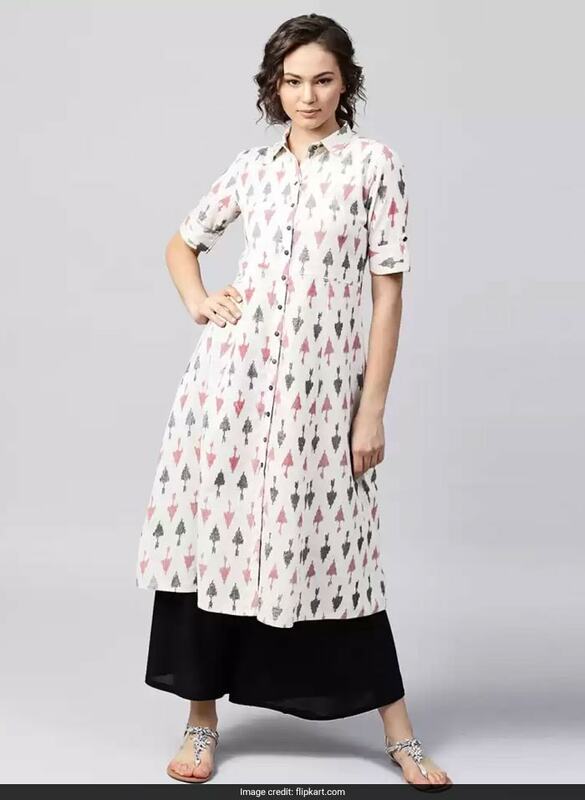 It features a round neck, quirky printed patterns, pink accents, tassel detail and front slits. Give a style update to your ethnic wardrobe by getting your hands on this stylish kurta. 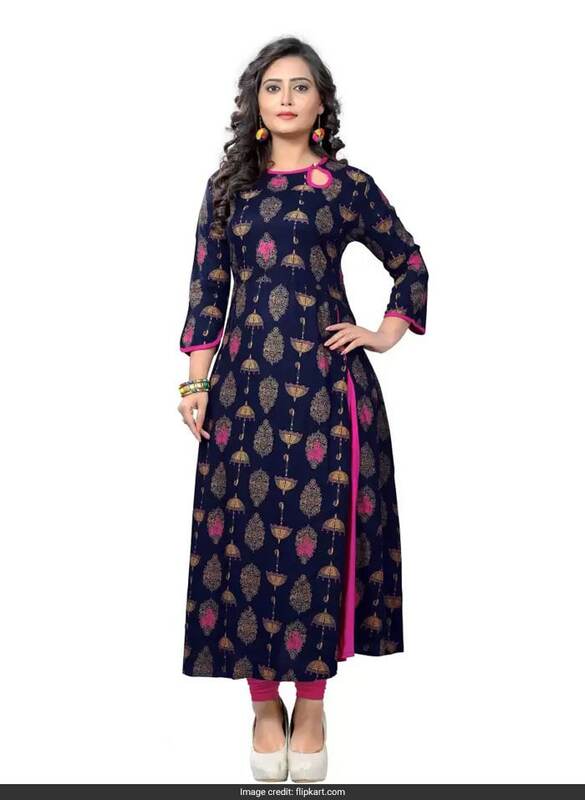 The blue long kurta features quirky printed patterns in gold and pink. 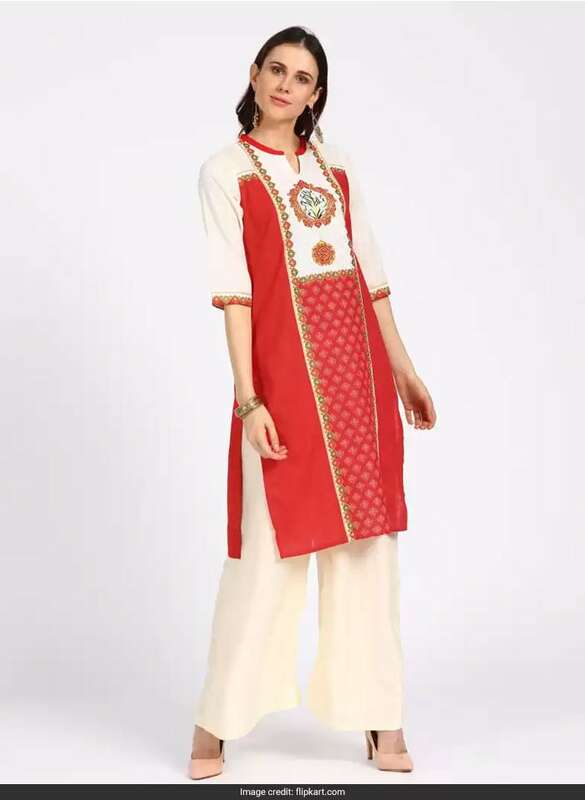 Step up your style game by adding this pretty red kurta to your collection. The red and beige kurta features chic printed patterns that make it stand out. Get ethnic looks on point with these trendy printed kurtas.